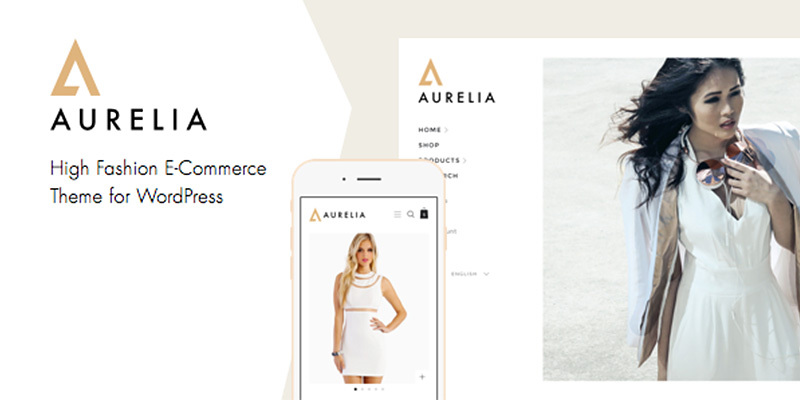 Aurelia is a high-end fashion & retail WooCommerce WordPress theme. Aurelia blends conversion optimization, responsive design, and user experience into a beautiful, world-class e-commerce solution. We’ve baked industry-led E-Commerce research right into Aurelia, well over $500 in value. Our support team is ready to help you get Aurelia up and running. Any questions or concerns – we’ll be right here for you. Change the colors and other aspects of Aurelia with built-in theme options. Make it yours. We’re constantly updating and improving the theme, making it more powerful for you to use. We built extra AJAX functionality into Aurelia to smooth the purchasing path of customers. Check it out on the product page. Enhanced product filtering and listing options. All necessary translation files are included, so you can enjoy Aurelia in your language.